The Hemi is known for its power and performance under the hood of a variety of Chrysler vehicles. The third generation Hemi released in 2003 set the pace for the last decade and gave drivers what they always wanted in an engine. There is a reason that the 5.7L Hemi made the Ward’s Best Selling Engines List multiple times. Every modern automaker has perfected engine reliability but not like Chrysler. The 354 horsepower is a major force to be reckoned with for trucks, SUVs and heavy-duty V8 vehicles. Our Dodge 5.7L engines for sale are sold cheap because we know how hard it is to find a great engine at a low price online. When you order engines from us, you take your pick of what type that you would like to buy. We do not limit our sales to only new engines. 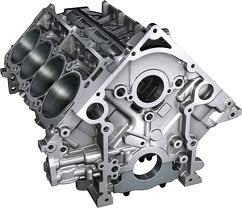 You will find quality rebuilt, remanufactured and crate engines for sale. We know everyone has a different plan for the engine that they buy. You will not have a problem locating the Dodge engine that you need in our inventory. Our commitment to your total satisfaction will not allow us to offer you anything less that sheer perfection in every engine that we sell online. We are no stranger to selling engines. Over the last decade, we have assembled what we believe is the best engine team in the engine industry. Engines are our specialty and passion and it shows in the quality of what we sell to you. For instance, our Dodge 5.7L engines for sale whether new or used are completely evaluated and inspected before we ever add them to our inventory. It does not matter if an engine is labeled as new. We still check it out and make sure that our thorough inspection and dyno testing process tells us that we are good to go. We feel that this is 50% of why our engines are better than our competitors. The other 50% comes from our low Chrysler motors prices. How Do You Get One of Our Dodge 5.7L Engines for Sale? We provide the easiest way to get a price quote and complete your order. First, you can call one of our engine experts because we know questions are a part of the ordering process. Our toll free number is 1-877-630-3873 and you speak to a real person when you call. We are not “online only” and provide friendly customer service from our U.S. engine superstore. Don’t want to call us before you get the facts? No problem. Fill out our engine quote request form and you will receive our low price super fast in your email. We are the Internet’s number one engine site but we don’t brag about it. We let our best-selling Dodge Hemi 5.7L engines speak for themselves.